What do an iced coffee, a fast food soda, and a smoothie have in common? People use plastic straws to drink them. And, it turns out, that’s a really bad thing. Plastic straws — dropped into drive-thru bags by servers, grabbed from buckets, or plucked from dispensers — are polluting the planet at a staggering rate. For environmental advocates, the convenience of straws doesn’t justify their impact. In recent years, a range of grassroots groups have been campaigning to fully eliminate plastic straw use in restaurants, bars, supermarkets, cafeterias, theme parks and so on. Groups like Lonely Whale, Last Plastic Straw, Straw Free, and Be Straw Free are working across the globe to eliminate plastic straws. Lonely Whale’s #StopSucking campaign aims to permanently remove 500 million straws from the oceans in 2017 — essentially neutralizing the impact of US citizens. It’s a daunting mission but it’s one in which they hope reason will ultimately prevail. Each day, US citizens use about 500 million straws, according to Eco-Cycle. Considering the US accounts for just 4.4% of the global population, the global number of straws used daily is probably much higher. Straws are available nearly everywhere drinks are sold. They come in all shapes and sizes. And almost none of them can be recycled because they’re generally made from single-use plastic and are so flimsy that they can’t endure the recycling process. So potentially billions of straws are entering waste streams every day. If a straw makes it to a landfill, the long life span of plastic likely means that erosion will eventually carry it away. And because straws are so lightweight and small, most of them are littered by people. Either way, the wind eventually carries a significant portion of straws to bodies of water. Each year, 8-12 million tons of plastic pollution make it into the world’s oceans. Straws are one of the most widely reported plastic items found during beach clean-up efforts. And once straws make it into bodies of water, they can end up terrorizing marine animals that mistake them for food and choke on them or get them caught in their guts. Some animals get straws painfully jammed into orifices, like this turtle whose suffering sparked widespread outrage. 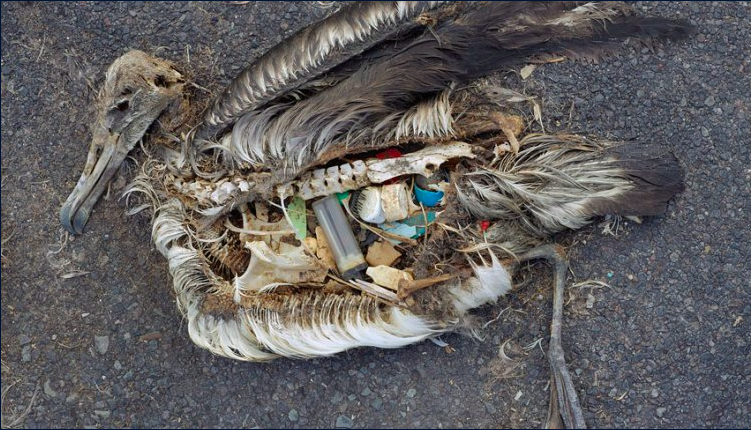 Studies have found that 71% of seabirds and 30% of turtles ingest plastic and this greatly increases an animal’s mortality rate. Plastic straws also break down into microplastics eventually, which are more easily ingested, leach toxins into the water, and ultimately blanket the ocean floor. The fight against plastic straws is incremental. It involves convincing one inventory manager or shop owner at a time to stop ordering plastic straws and either find a biodegradable or reusable alternative, or simply stop offering straws. Businesses can offer paper or bamboo straws and can encourage customers to buy reusable steel or bamboo straws. @alicechudes cooling off these hot hot days ☀ with a quick drink in Bukit, she knows how to do it right 😉 Did you know? In America alone 500 million straws are disposed everyday, and many end up in the ocean. If we don’t take action NOW, by 2050 we will have more plastic than fish in our ocean! We've made the commitment to stop using plastic straws and switched to using glass straws in our cafes for a few years now. Do your part, SAY NO to plastic straws or bring your own straw! Super cool GLASS & BAMBOO STRAWS are available at our stores 😎 let's take action -- one straw at a time! Freehold, a bar in Brooklyn, was persuaded by Lonely Whale to stop buying plastic straws. That meant finding an alternative to the 1.5 million straws the business purchased annually. As a replacement, they ordered 650,000 paper straws and set about reducing how many straws customers used overall. The bar’s employees learned about the impact of straws and relayed that information to customers. “It was a really small thing for us to do to make the environment a lot better,” Brice Jones, a partner at Freehold, said in a video about the campaign. Customers, according to bartenders in the video, were open to not using straws when presented with information about their environmental impact. That’s what a lot of advocates are finding out — people aren’t so attached to straws that they wont consider an alternative. “1,800 restaurants, organizations, institutions and schools worldwide have gotten rid of plastic straws or implemented a serve-straws-upon-request policy,” Jackie Nunez, founder of the Last Plastic Straw, told The Washington Post. A major victory happens when a chain restaurant implements a “no plastic straw” policy throughout its businesses, or when a municipality bans their use. That might seem too hard to pull off, but bans on plastic are sweeping the globe, from France to India to Kenya. And many businesses, including multinationals like Unilever and Dell, are committed to reducing their plastic footprint. For people with disabilities, straws are essential and should always be available. But for the majority of the public, plastic straws are a convenience. And for advocates, being able to sip a beverage isn’t worth sucking the life out of the oceans.